Landing Page Hacks for Squarespace! that fits a MASSIVE amount of High Vibe Left Brain Needs! I was toying with using Leadpages for months. I even tried out a subscription! However, I just wasn't ready to spend the pricetag on the program, especially, since I pay for Squarespace. I really wanted to find a way to do a stand out landing page right on my own site. Not only would this mean I wouldn't have to pay money for something I already had a capability for, it meant I could keep a cohesive look to all of my content! Win! Win! ➲ It will explain image blocks and how to use them to define your content and really make it stand out! ➲ Bonus- Learn about a free timer plug-in so you can alert customers & collectors about a time-limited offer! 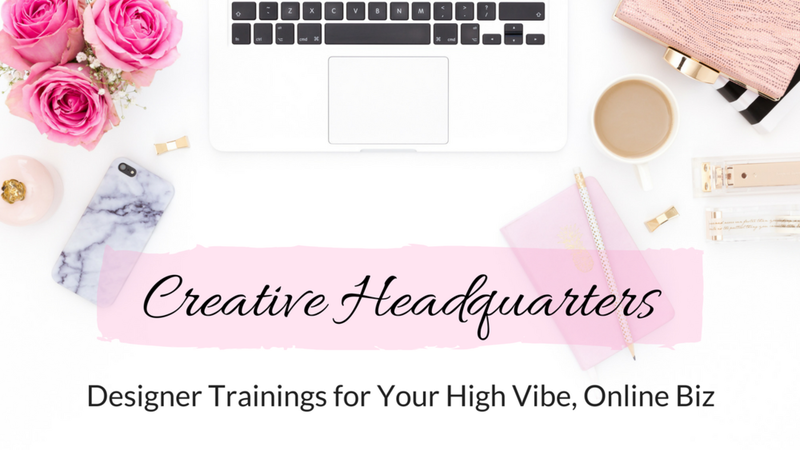 Don't miss this jam-packed training full of lot's of high vibe insights & tricks! Squarespace is the Creatives Platform of Choice for a reason! Purchase the class for only $10!